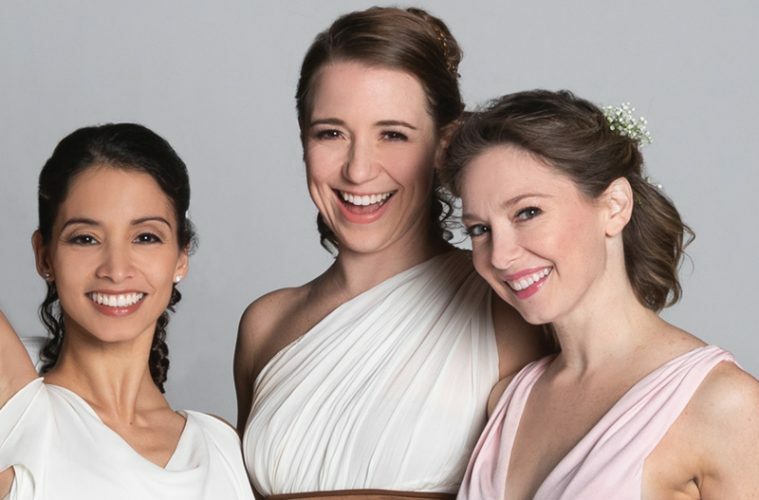 Houston Ballet Principals Karina González, Jessica Collado and Melody Mennite. Photo by Julie Soefer, courtesy of Houston Ballet. Janine Antoni in collaboration with Anna Halprin, Paper Dance, 2013. Premiered at The Fabric Workshop and Museum, Philadelphia, 2016. Artwork © Janine Antoni. Image courtesy the artist and Luhring Augustine, New York. Photograph by Carlos Avendaño. AUSTIN—A major retrospective of the work of Janine Antoni will be on view on the second floor of The Contemporary Austin.This survey of more than 30 years of work by the artist will be a dynamic and evolving exhibition as the artist performs in more than fifteen live performances created in collaboration with renowned choreographer Anna Halprin. On view through March 17. 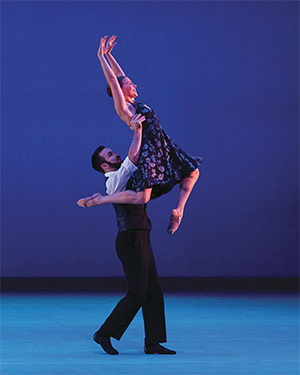 METdance members Elizabeth Sutton and Dwain Travis; photo by Ben Doyle, Courtesy of METdance. HOUSTON—METdance presents DUO, an intimate evening of duets up close, with works by Eric Handman, Eoghan Dillon, Mariana Oliveira, Taylor Mitchell, Andrea Dawn Shelley and Joshua Manculic, Feb. 7-9 at The Raven Tower. METdance’s Artistic Director states, “I created DUO five years ago not only to add a performance to our season but also to have the dancers work as couples in an intimate setting. Every two years we move the location to keep it fresh for the dancers and the audience. Majority of the choreographers this year were selected because they have been finalists in our Emerging Commission for more than 2 years. I wanted to give them an opportunity and support their artistic voice in DUO. DALLAS—Cris Worley Fine Arts presents Triggered, a new suite of works by photorealist painter Shannon Cannings. 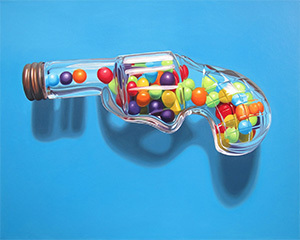 The paintings’ central subject is a series of glossy, larger-than-life, candy-colored (and sometimes candy-filled) toy guns. The images take on new meaning in a culture deeply divided over the meaning and role of firearms, especially as they relate to children. The title Triggered may refer to the literal firing mechanism of these objects or to its social media-era meaning-offense at a particular subject often due to past trauma. On view Feb. 16 through March 23. Beijing Dance Theatre in Hamlet; photo by Han Jiang. DALLAS/HOUSTON—Shakespeare’s epic story of revenge and self-doubt gets a new spin with Beijing Dance Theater’s otherworldly Hamlet, presented by TITAS Feb. 8 at Winspear Opera House in Dallas and Society for the Performing Arts Feb. 22 at Jones Hall in Houston. In conjunction with the company’s Houston performances, Asia Society Texas Center presents an Artist Talk: Beijing Dance Theater’s Wang Yuanyuan, co-presented by Society for the Performing Arts’ Choreographer Discussion Series on Feb. 24 at the Asia Society. Darren Waterston, Phantasm no. 3, 2018, oil on panel, 24”x20.” Photo courtesy of the artist. HOUSTON—Inman Gallery opened two new exhibitions. The first is a collection of new paintings by Darren Waterston titled Eventide. The haunting images occupy a no-man’s-land between abstraction and landscape. The gallery also hosts an exhibition of two artists; Emily Joyce and Dorothy Antoinette LaSelle, titled Parallel Visions. 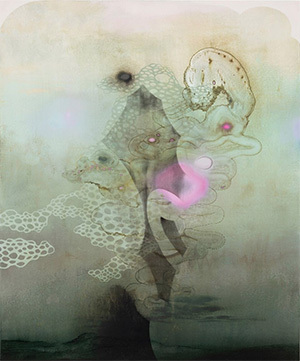 LaSelle was a student of early modernism in the 1920s, and her works on paper are intriguingly paired with the contemporary abstractions of the Los Angeles-based Joyce. 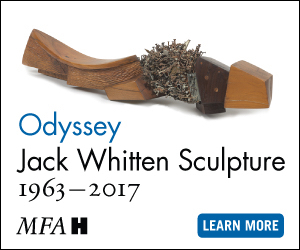 On view through Feb. 23. Bruce Wood Dance members Jillyn Bryant and Gabriel Speiller; photo by Sharen Bradford. DALLAS—Bruce Wood Dance presents Dances from the Heart, Feb. 15-16 at Bruce Wood Dance Gallery. “The show promises to be a sampling that pairs the exquisite blend of live piano and strings with the tender and touching moves of Bruce Wood Dance,” says Joy Bollinger, BWD’s artistic director. 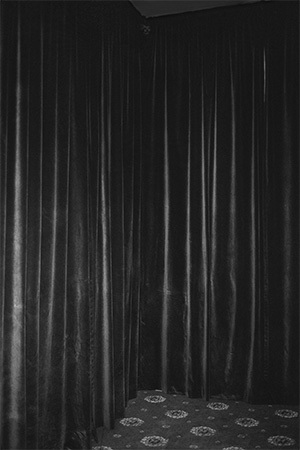 FORT WORTH—Belgian photographer Dirk Braeckman will be featured in the The Modern Art Museum of Fort Worth’s FOCUS series. Braeckman uses expressive and painterly techniques in his traditional darkroom photos of mysterious interiors and unidentified figures. The low-key, dreamy photographs suggest a world both familiar and utterly foreign, allowing the viewer to fill in the void of narrative. The artist has explained, “I’m not a storyteller, I’m an imagemaker. The story is made in the mind of the viewer.” On view through March 17. Danny Lyon (American, born 1942,) Sheriff Jim Clark arrests two SNCC voter registration workers on the steps of the federal building, Selma, Alabama, 1963, printed later, Gelatin silver print, h. 11 in. (27.9 cm); w. 14 in. (35.6 cm) San Antonio Museum of Art, gift of Ernest Pomerantz and Marie Brenner, 2017.25.42 © Danny Lyon / Magnum Photos. SAN ANTONIO-A teenage African-American boy struggles against a white police officer who holds him by the neck as a mostly white audience looks on. 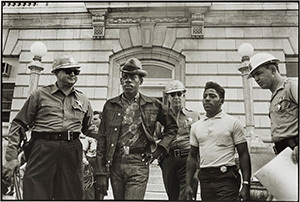 Photographed in Atlanta in 1963, the encounter was activist and honor roll high school student Taylor Washington’s eighth arrest. An iconic photograph of the Civil Rights Movement, the image is one of several Danny Lyon photographs of the Civil Rights era which form part of a major donation to the San Antonio Museum of Art by collectors Marie Brenner and Ernest Pomerantz. 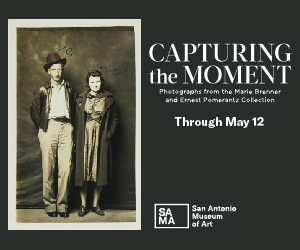 The donated collection includes over 500 photographs, 75 of which will be on view Feb. 22 – May 12 in Capturing the Moment: Photographs from the Marie Brenner and Ernest Pomerantz Collection at SAMA alongside key works from the Museum’s existing photography collection. Dallas Black Dance Theatre dancers Sierra Noelle Jones and De’Anthony Vaughan. Photo by Brian Guilliaux. 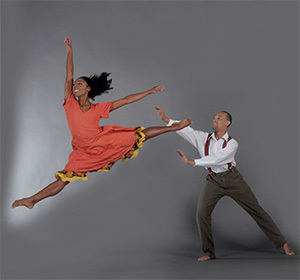 DALLAS—Dallas Black Dance Theatre presents Cultural Awareness with works that focus on two female icons of American music including, Odetta by Matthew Rushing, Alvin Ailey American Dance Theater Rehearsal Director and Guest Artist, and Dianne McIntyre’s Nina Simone Project, which is set to Simone’s signature classical, jazz, and soul fusion, Feb. 15-17 at Dee and Charles Wyly Theater.